Planning on making turkey loaf or turkey meatballs for dinner? Just a few adjustments turn those dishes into fantastic finger foods for your baby or toddler. If you can’t get your picky eater to chow down on anything other than nuggets, make the nuggets at home so you know they’re healthy and free of preservatives and artificials. This turkey nuggets recipe is also delicious enough for grown-ups (and we even feed it to the dog!). These tasty little bites are suitable for babies eight months of age and older who are capable of handling textures with lumps and bumps, and these are perfect for your toddler. 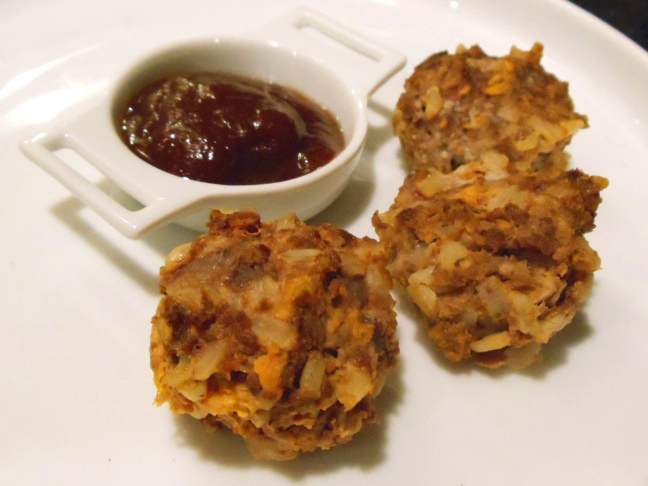 These nutritious nuggets are made from sweet potato, rice, apples, and ground turkey. Step 2: In a large bowl, mix all ingredients until thoroughly combined. Step 3: Press mixture into mini-muffin tins. Step 4: Bake at 400 degrees for 10 to 15 minutes or until firm and done. Step 5: Allow to cool, and serve with apple butter as a dipping sauce, if desired.